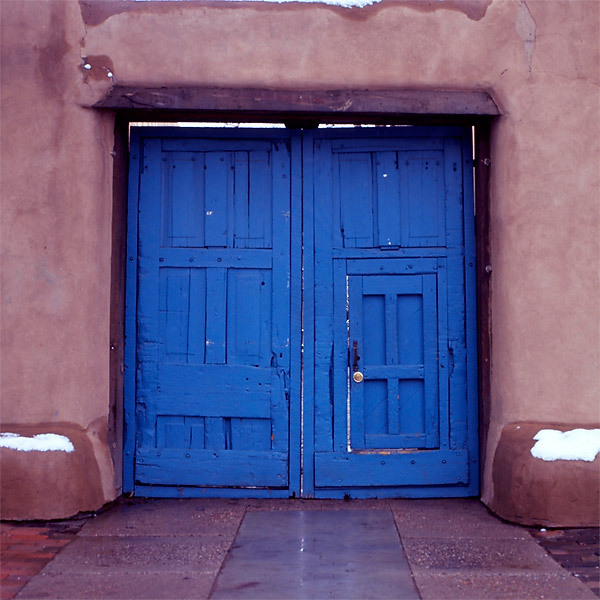 Blue Door: Yet another cool pueblo door. Snapped on: Jan 30, 2005. Hasselblad 503cx, Planar 80/2.8 C T* ISO100, Fujichrome Velvia 100f slide film, Cropped in post.